December 10, 2018 will be another date that I’ll remember forever. 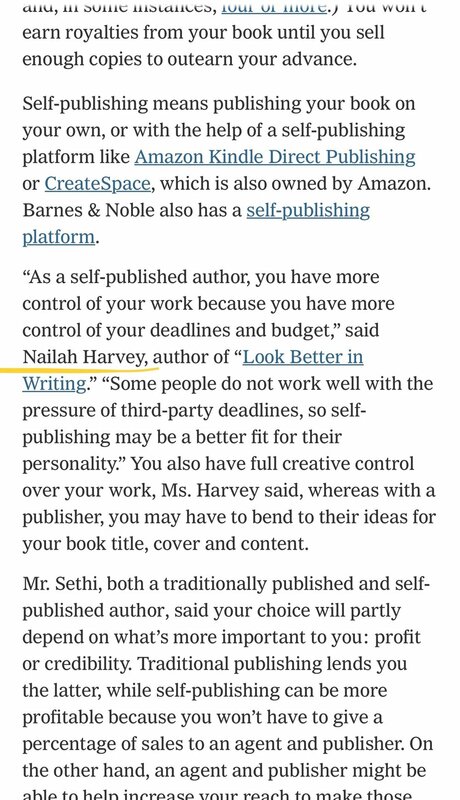 This is the day that I was mentioned in one of America’s largest publications, The New York Times. 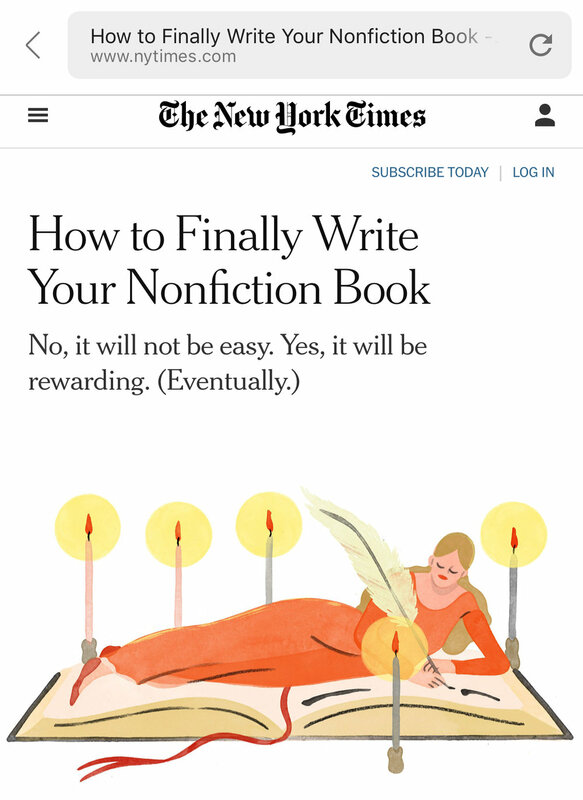 The article is titled, “How to Finally Write Your Nonfiction Book,” and it is written by Kristin Wong, author of Get Money. This mention is such an honor…I’ve been on cloud 9 since Monday! I wholeheartedly believe in using whatever resources you have to write and publish a book, no matter if the resources are limited. In the article, I gave a little advice on the online publishing platforms a.k.a. the cost-effective resources needed to self-publish.